Who said that having sensible boots is the only way to go in life? Fashion helps make ordinary things more memorable so why not add some punch to your feet especially during the tough winter months? Yes, they might not be the best water repellent boots out there, but they are mood-proof which in our books means feeling better regardless of the weather. Take a look at my personal favorites from Zara's and Mango's sale. This pair from Mango is made for you to just go ahead and inspire you to reach your ultimate dreams. 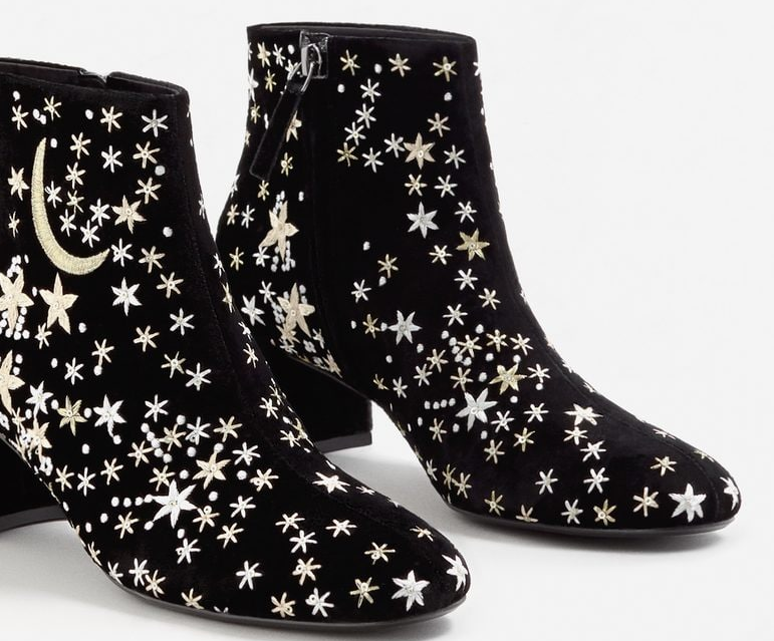 Who would have thought that starry boots would be so motivating? The fashion pros? They are jet black with gold and white embroidery making it pretty much neutral in terms of their color palette. Fun AND easy to match to your outfits...perfect! This next pair from Mango is what I like to call convenient: it is original and fashionable yet not creating a huge statement. After all, embroidered flowers have been present in fashion and home decoration for centuries. 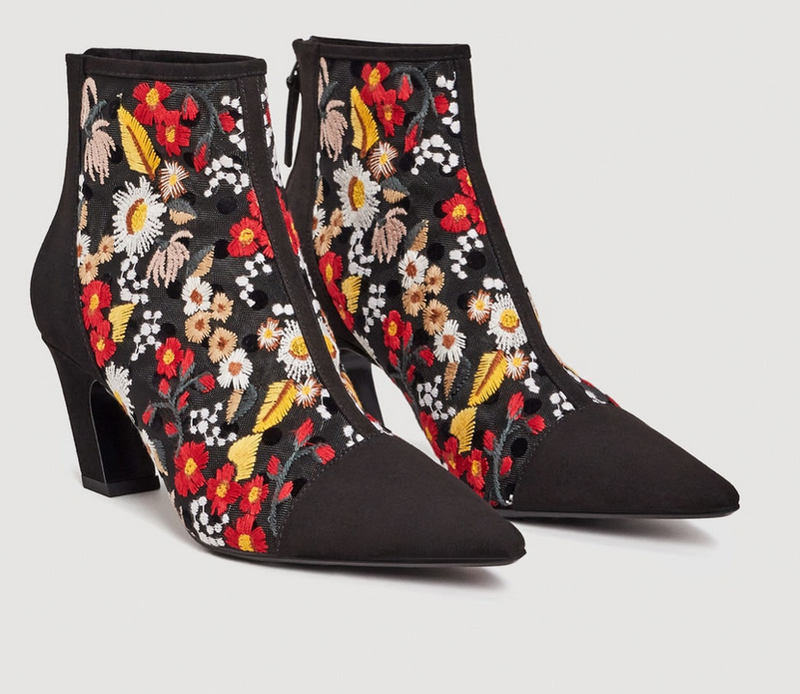 The extra twist comes in the black toe and ankle...which on the one hand contrasts the floral pattern and on the other makes it edgier together with the modern heel. Get them while you can! The fact that your grandma would be equally excited to wear these is a good thing. It speaks volumes about your classic taste and the fact that this pair of jacquard ankle boots from Zara will be the talk of the night. A friend of mine wore them recently and apart from getting compliments from the whole table, they passed the dancing test afterwards as they turned out to be actually comfortable. Wearing this to the office Christmas party would have been definitely too much (or not?) but rocking these silver sequin booties from Zara with your favorite pair of jeans and an extra long coat is perfect to face more ordinary situations with pizzazz. A vivid green and satin shine makes these satin embroidered booties from Zara the perfect pair for a monochrome outfit: think all black, all white, all navy blue or even red. Show them off with cut-off or wide legged pants or with an extra long dress. WHAT MOOD DO YOU CHOOSE TO BE IN?